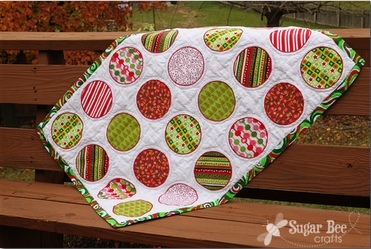 This guest post was written by Mandy from Sugar Bee Crafts. 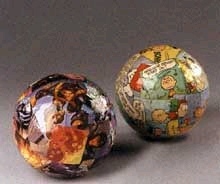 When I think Earth Day I immediately think of recycled crafts – you know, crafts using upcycled materials. Give new life to something old. 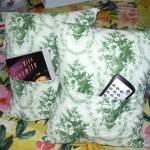 My favorite favorite thing to repurpose is ….. SHEETS!! 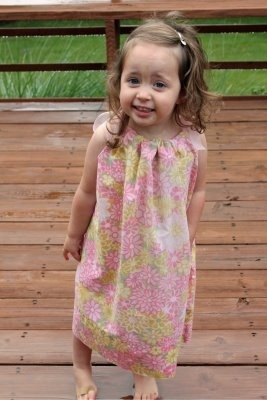 They are so cheap at thrift stores and yard sales and give you so much yardage! And they come in such a great variety of colors and patterns. 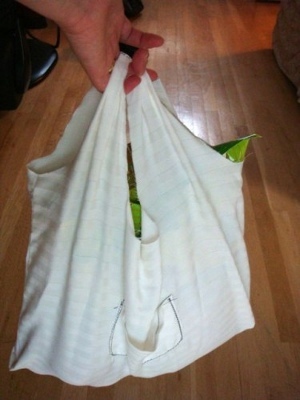 Rag Rug – cut those old sheets up into strips and make a rug! 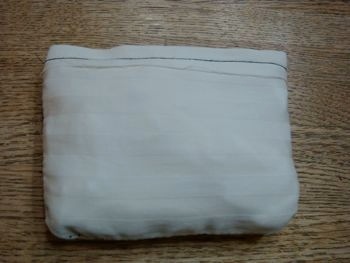 Bag Lining – use your nice fabric on the outside, but on the inside use sheets as lining! 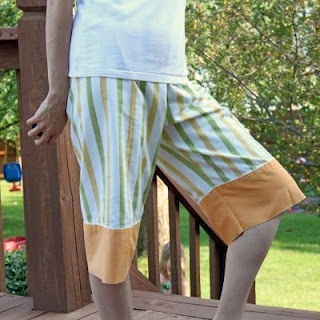 Lounge Pants – use the top edge of sheets so you don’t even have to hem them! 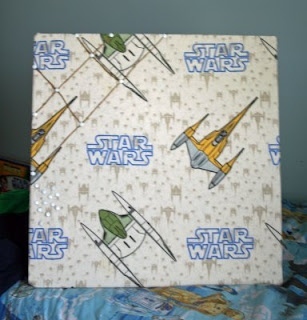 Thanks for letting me share my love of Upcycling Sheets!! I pick them up whenever I see them, so I have a whole stack in my craft room, ready and waiting for the right project to come along…..
Hope to see you over on my blog, Sugar Bee Crafts!! 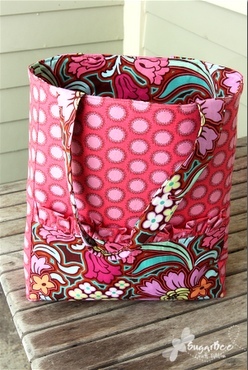 This guest post was written by Heather Valentine from The Sewing Loft. Today’s green crafting posts are sponsored by Eco Green Crafts! 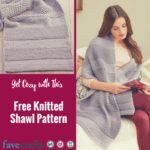 Check out how to enter to win a $25 gift card and you’ll also get a coupon code for 20% off your order! I just love the look of a simply wrapped gift, don’t you? You know the ones that are not too fussy but still look “put together”. Well, today is all about simple wrapping! 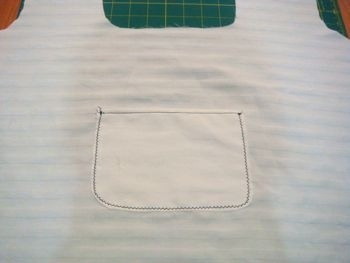 Then head on over to the machine we will just straight stitch these circles all together to make a quick string garland. 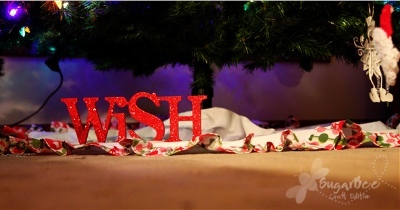 Since I wanted to add some dimension to my garland, I stitched 2 circles together. 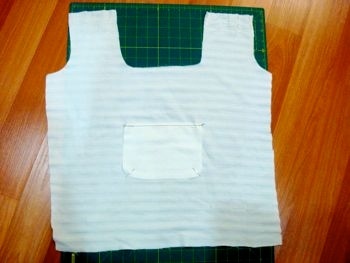 To start, fold a small square of scrap paper in half and stitch through center; continue to stitch for a few inches. 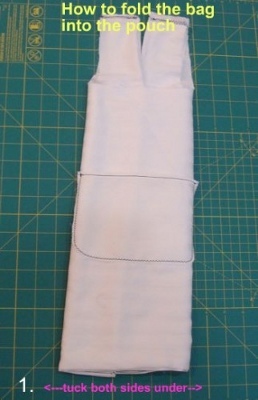 This will give you a tail to attach to the back of the gift or wall for hanging. 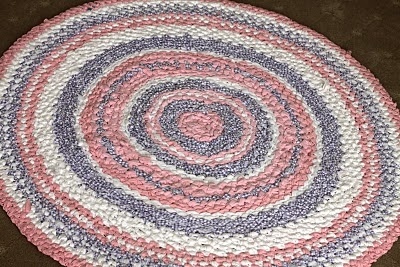 Straight stitch down the center of your circles; space as desired; repeat the process until desired length. 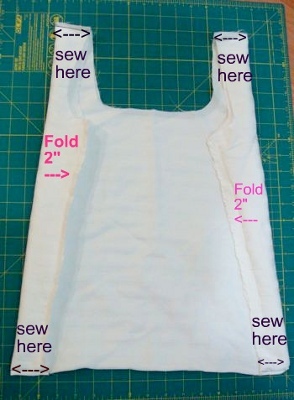 For an easy space guide, I used the back of my machine. 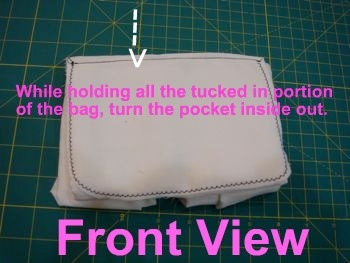 Don’t forget to leave a few inches for the tail at this end too! 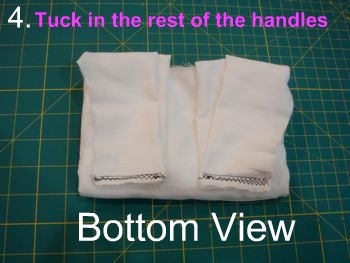 Once all are stitched together, gently pull each side of the top circle towards the center. Your garland is complete! You can really do many things with this garland. Hang along a door or window. Group a few together and hang from the ceiling to create a mobile. 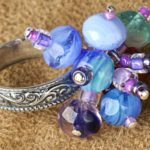 This guest post was written by Jessica Hill from Mad in Crafts. 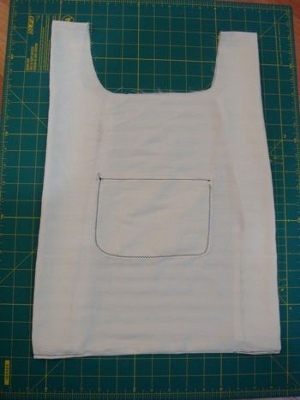 Today’s green crafting posts are sponsored by Eco Green Crafts! Check out how to enter to win a $25 gift card and you’ll also get a coupon code for 20% off your order! 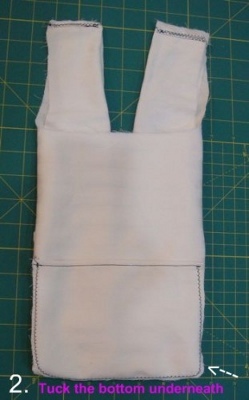 Upcycling is good for the environment, the pocketbook, and your creativity. It is so satisfying to take something that has outworn its use and give it new life with a bit of elbow grease and innovation. 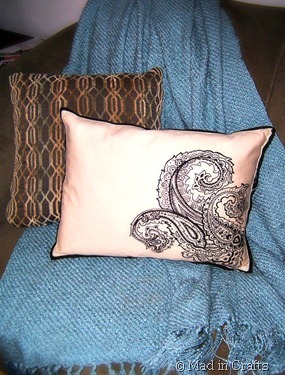 If you are known to friends and family as “the crafty one,” you likely get regular donations of goodies from people saying, “I thought you could make something out of this.” Ideally, you could always find items to upcycle without having to spend a dime, but occasionally hitting the thrift stores or yard sales can yield equally exciting materials. 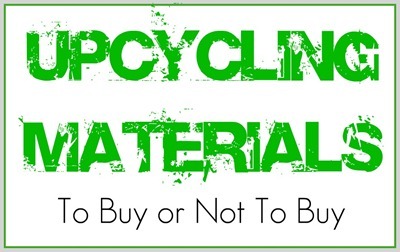 Today, I am going to share some of my tips for maximizing your purchase of materials for an upcycling project. 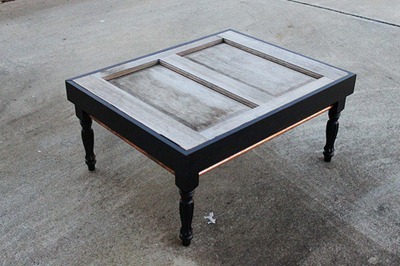 When you are upcycling free furniture, you don’t need to be picky about whether it is particle board, laminate or veneer. If you are going to spend money on furniture to upcycle, you want to look for real wood, if possible. Wood holds up better to sawing, drilling, and sanding, plus it is MUCH easier to paint. 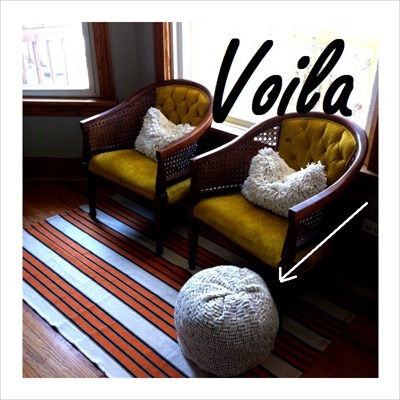 Houzz.com has tips for determining whether a piece of furniture is solid wood or veneer. 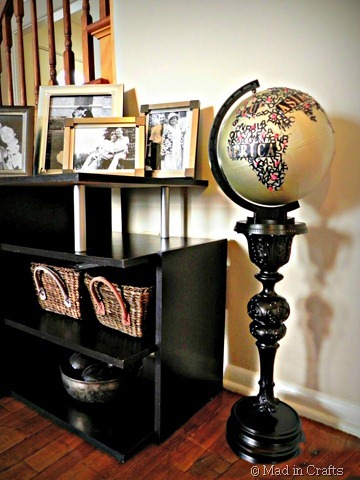 When you find a piece of furniture at a thrift store or a garage sale, there is always a chance that not only is the piece worth buying in order to upcycle it, it may be worth buying because it is an antique. In that case, you need to do some research before cutting it in half with a hack saw. 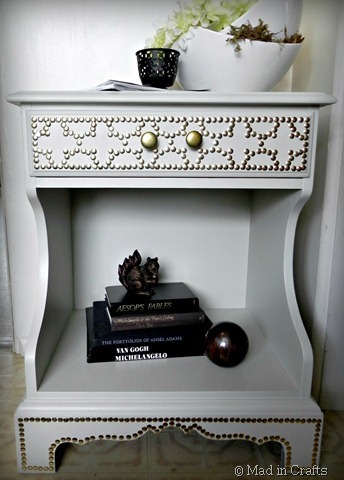 This article from TLC helps to determine if your new purchase is an antique or just old. Don’t worry about hardware, color, or minor chips or dents as these are all easily fixable issues. Plus, if you are doing a major transformation, you probably want to change all these elements anyway! 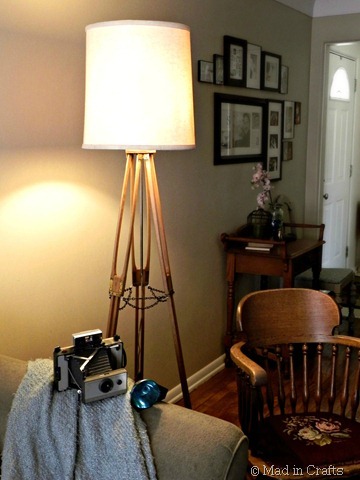 There are a few elements you want to look for in a thrifted or yard sale lamp. First, check to see if the lamp shade is intact and in good shape. For some reason, lamp shades are crazy expensive so if you can find a basic lamp base with a decent shade at a good price, that’s a double bonus. Even if the lamp does not come with a shade, the piece may still be worth a few bucks. Pick up the lamp and give the base a twist. Does the base come apart into multiple pieces? Many lamps are made of several pieces stacked onto a threaded post. 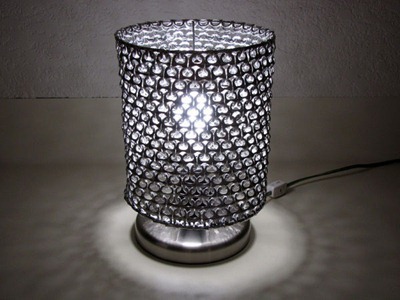 The more pieces the lamp is made from, the more opportunities you have for customization or new projects. Don’t worry about if the lamp actually works. 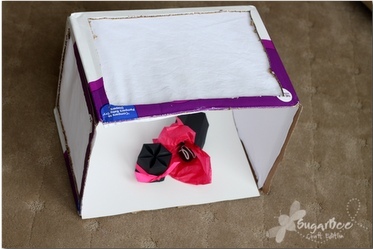 Lamp kits are readily available at hardware stores, and rewiring a lamp can be a DIY project. How Stuff Works has a great step-by-step tutorial for rewiring a lamp. 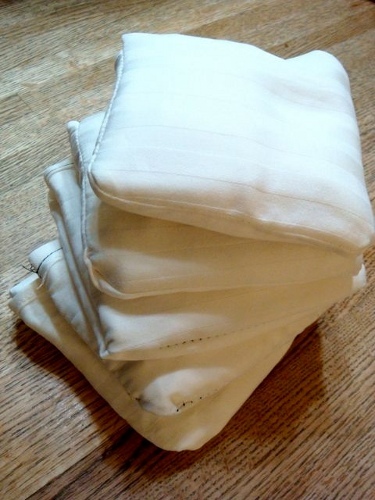 The adage for linens is that the closer they will be to your body, the more money you should spend on them. 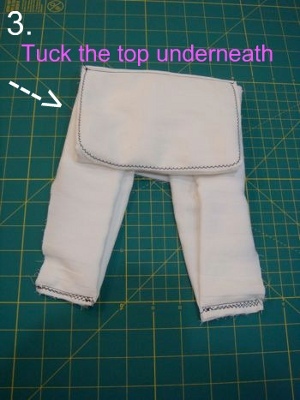 For upcycling, you have to determine the “ick” factor. 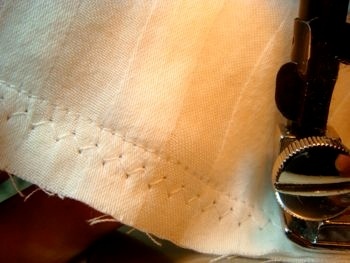 The closer the linen is going to be to your body, the lower you want the ick factor to be. In other words, buying a garage sale bed sheet and cutting it up to make yourself some undies is icky. Buying a garage sale bed sheet and using it as a picnic tablecloth, is less icky. 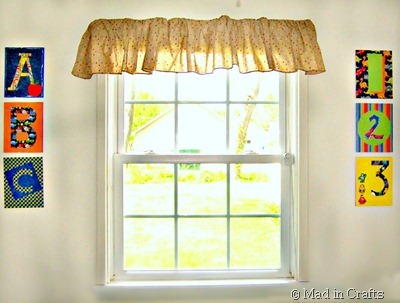 Thrifted linens make excellent curtains, throw pillows, rag rugs, table runners, and more. Of course, these are all just hints and guidelines for shopping for possible upcycling projects. If you find a piece you love that inspires you to make a fantastic project, it doesn’t matter what it is made of or what it looks like. Just get out there and CREATE! I’m Jessica Hill, the slightly-unbalanced blogger of Mad in Crafts. I used to spend my days teaching Shakespeare and Longfellow to high school students, trying desperately to make the classics modern for my students… or at least to keep them awake for the 45 minute class period. 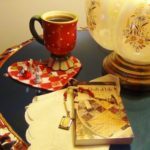 Now, I teach readers how to combine classic style with modern trends in decorating, DIY, cooking, writing, and more! And hopefully you stay awake in the meantime. 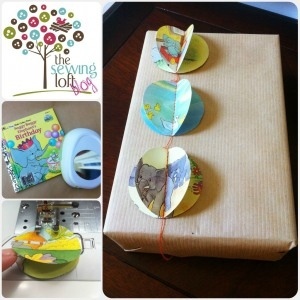 Today is Earth Day, and it also marks the beginning of Earth Week on the FaveCrafts blog! To celebrate this eco-friendly holiday and kick off our special green crafting week, we’re giving you a comprehensive guide to all the best recycled craft ideas we have. 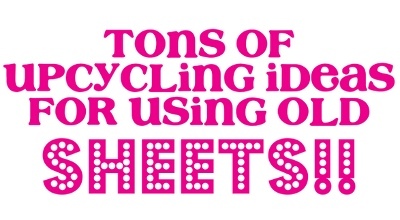 From CDs to wine bottles to crayons, you can recycle almost anything into a craft project! 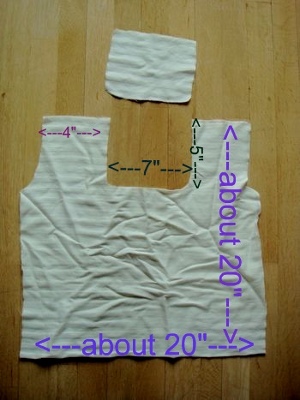 Check out our ideas for upcycling common household items like bottle caps, jeans, and plastic bags. Before you toss anything in the recycling bin this week, browse through our guide to see if there’s anything fun and creative you can make with recycled items. 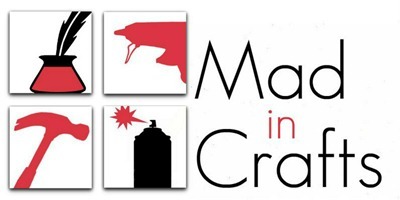 In this section of our Green Crafting Guide, you’ll find crafts specifically tailored to the items you want to recycle. Want to turn your old CD collection into something beautiful? 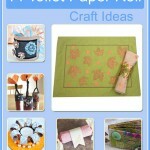 Find crafty ideas here. Have you been amassing bottle caps for years just to make something useful with them? Learn how to incorporate them in your crafts with these clever ideas. If you’re looking for inventive projects to teach your kids about recycling or thrifty ways to decorate for Christmas with recycled items, you’ll find plenty of ideas here. These eco-friendly craft projects are organized by end-product, so you can craft with purpose! 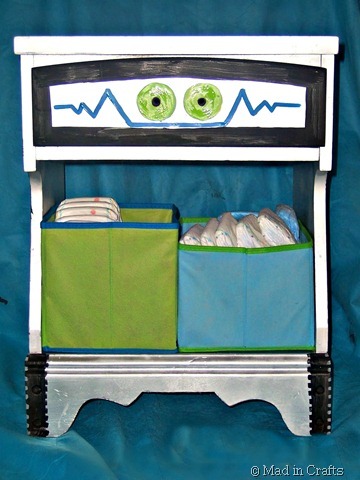 Find a project that inspires you, and then start collecting the recyclables you’ll need to make it happen. Sunday is Earth Day, which means the FaveCrafts editors have been hard at work bringing you lots of eco-friendly crafting inspiration. We’ve already made a board on Pinterest to organize our favorite Recycling Crafts, and we brought you a special Link Love post yesterday featuring crafts that celebrate the earth. Stay tuned this weekend and throughout next week for tons more eco-friendly, earth-loving craft ideas from us! 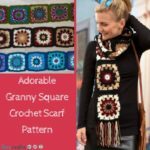 We’ll be starting off with an enormous list of eco-crafts, followed by a week of guest blog posts from our favorite eco-crafters. 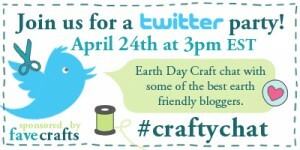 We’ll also be hosting an Earth Day themed Twitter party on April 24 at 3pm EST. You won’t want to miss this crafty celebration of earth! Don’t you love crafting with recycled materials like old sweaters, toothbrushes that have seen better days, empty wine bottles, mesh produce bags, and pop cans? 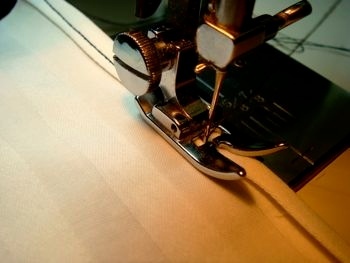 It makes me feel warm and fuzzy when I get to create crafts to my heart’s content without damaging the earth. 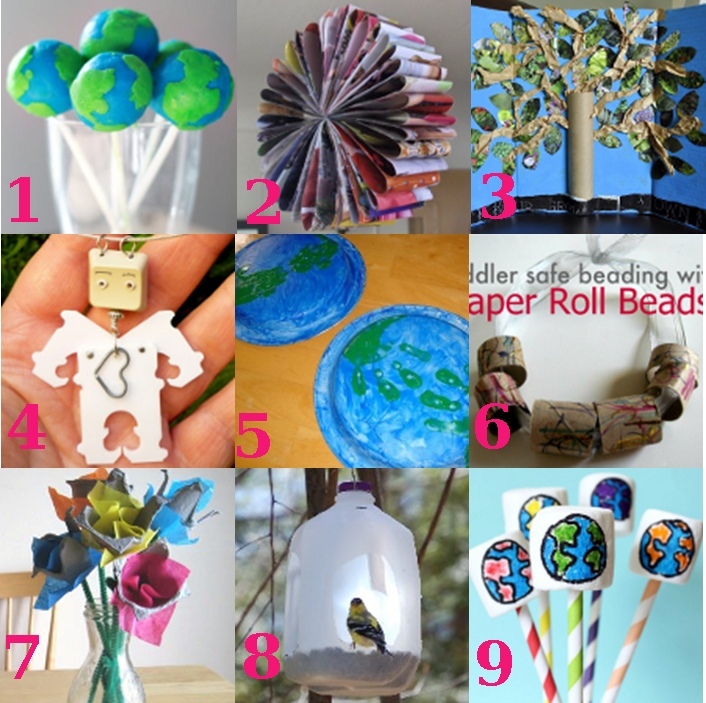 In honor of Earth Day, I put together this round-up of eco-friendly and earth loving craft projects. 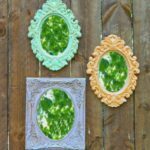 You can make many of these craft projects with items you’d find in your recycling bin or garbage can (or preferably before they make their way to your garbage can!). Show your love and support for the earth by making one of these Earth Day themed crafts, which are a great starting point for showing kids what it means to be green. Let’s Celebrate Earth Day with a Twitter Party! 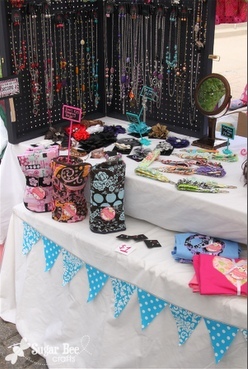 We love recycled crafts here at FaveCrafts! And to show our appreciation of all things recycled, we will be hosting a week long celebration right here on the blog with new recycled craft projects and ideas so stay tuned for that! But what’s one of our favorite ways to celebrate? 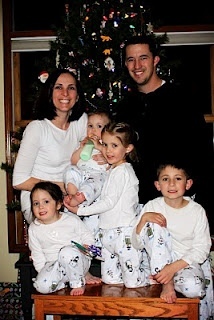 By throwing a Twitter party of course! 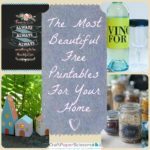 We are super excited to be discussing eco-friendly crafts with all of you and we’ve invited some of our favorite eco-focused bloggers to join in too! So join in on April 24th at 3pm EST using #craftychat to learn some new tips and tricks for turning those phone books into creative home decor! We will be brainstorming about creative uses for old things in case you’ve hit a wall in your creative process. You’ll definitely want to join in on the conversation when we discuss how to overcome challenges in being green and staying green with advice from some of the best recycled craft bloggers! Never been part of a Twitter party you say? No worries! We’ve pulled together a blog post that explains it all. And you definitely won’t want to miss out because we’ve lined up some giveaways from eco-friendly and green companies that you’ll love! All you have to do to be entered is follow along and chat with us! Just send out at least one tweet during the chat with the hashtag #craftychat and you’re automatically entered to win -easy right? You can start entering right now by using #craftychat! Contest ends April 24th 4pm EST. Winners will be announced at the end of the chat. 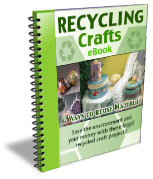 For the 40th anniversary of Earth Day, we are offering a FREE eBook with 42 ways to reuse and recycle through crafting. Learn how to reuse materials you would normally throw away, such as plastic containers and tin cans. Save money on craft materials and save the planet at the same time! Even if household items are recyclable, precious resources are expended in the recycling process. The best thing you can do is try to reduce your household waste. Download the eBook here. Section 1: Paper- Learn how to use junk mail to make paper beads. 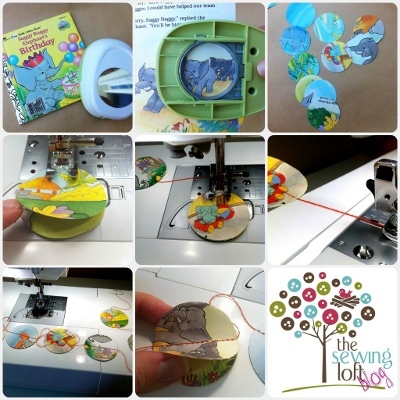 Section 7: Miscellaneous– Take those old CD’s and turn them into ornaments.